Russia's envoy to the United Nations has criticized the latest UN report which singled out the US coalition efforts in fighting ISIS, overlooking the game-changing role of Russia as well as other countries’ achievements in battling terrorism in Syria. Sharing his assessment of the circulated Report of the Secretary-General in the Security Council on the threat of terrorism in Syria, envoy Vitaly Churkin noted that Russian-led contribution is being neglected, while all the successes are being attributed to the “international coalition forces” led by Washington. "It seems that the role of the coalition led by the United States is singled out, while the actions of other states, which are often more effective, are deliberately ignored,” Churkin said Wednesday. 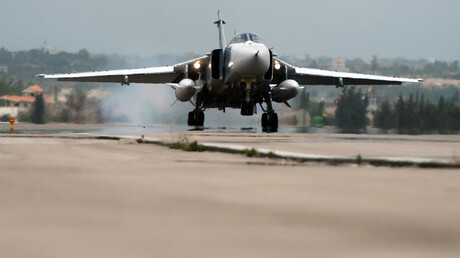 “It cannot be denied that substantial damage to ISIS potential in Syria was done by the Russian Air Force,” Churkin said, while also stressing that the role of the Syrian air force cannot be ignored too, as they are on the front line of fighting terrorism. The vital need to completely seal off the Syrian-Turkish border to prevent smuggling of fighters, weapons and potentially of materials that can be used by the terrorists to build chemical weapons was once again emphasized by the ambassador. “Unfortunately, this issue is being persistently hushed up, and the corresponding Russian initiatives to strengthen the fight against the chemical terrorism threat is being slowed down for no apparent reason,” Churkin said. 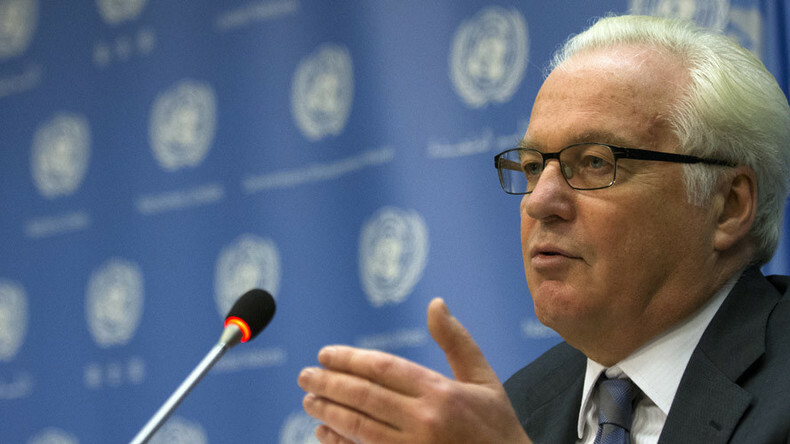 Russia, according to Churkin, also asked the UN Secretariat to check the reports that Turkey is fortifying its positions on the territory of Syria with “reinforced concrete” structures. Among other things, the ambassador pointed out that he is “bewildered” that the report “doesn’t say a word” about the role Russia played in liberating Palmyra and subsequent Russian mine-sweeping effort of the UNESCO heritage site. At the same time, Churkin wondered why the UN even bothered to ask Russia for its operational data in Syria, if the report did not take into account any of the information provided by Russia.